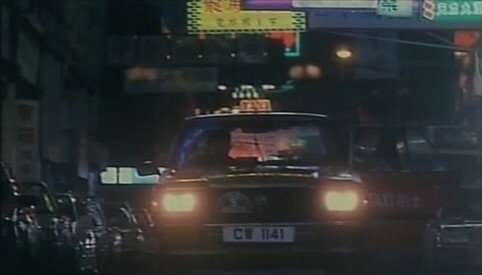 You know, I can never get enough of these movies about deranged Hong Kong taxi cab drivers banging corpses. There’s just something life affirming about knowing that our country is not the only cesspool capable of producing these animals. Besides, with China’s birth control policy, the population over there has become unbalanced, leaving lots of deranged taxi cab drivers whose best bet for a date is the streetwalker-fare they just strangled to death in the back seat of the cab. “Mother is the invention of opportunity” is probably how the rudimentary English subtitles would no doubt put it. As it is, Dr. Lamb only manages to evoke “get on with it already” and “is this all the gore there is” reactions from the degenerate types who would have actually gone to the trouble of buying this movie. Directors Billy Tang and Danny Lee (who plays the lead cop in the movie also named Lee) show us over and over that they really have no idea how to make an effective serial killer movie. 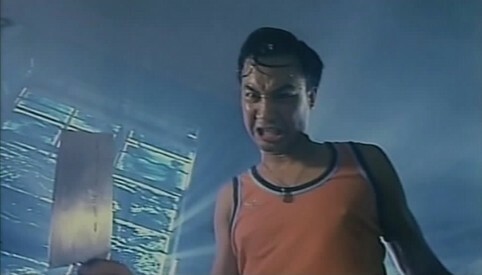 This is apparent right from the beginning when they serve up the obligatory prologue that is supposed to show us how cab driver Lam Gor-Yu became such a twisted freak that a Category III Hong Kong movie needed to be named after him. It’s a mish-mash of parental neglect, abuse, and his own dirty thoughts that mold him into the fine young loner he eventually becomes. The movie sacrifices all its drama when it’s told in flashback by Lam while he’s in custody at the police station. We see him strangle chicks, hack them up (mostly off camera, so don’t get too excited – though red liquid sprays all over a few times), screw them, and also causes the woman cop to barf all over whenever they’re watching the video that he made of all this. The movie manages to plod for the first thirty minutes as the cops stumble onto some dirty photos, trace them back to Lam, arrest him and his entire family and then beat him up, until it becomes clear that he doesn’t mind the pain all that much. So then they put his family in a room with him (after showing them the dirty pictures that he took of his niece) and they beat him up and cuss him out and finally he says that yes, I killed a couple hookers. The cops search his house, find dissecting books, more photos and severed breasts in bottles, one of which gets dropped onto a cop’s back. The expected hilarity ensues. The other cops make fun of the woman cop who the boobie landed on when she complained that her back now itched and they said that she was going to get “sloughing” disease. I’m all for hostile work environments, but come on! There isn’t anything in Dr. Lamb that we haven’t seen done a hundred times before in other sleazy films. Can I really be so jaded that seeing a guy bang a corpse elicits a glance at the clock to see if this will also be the climax of the movie and signify that it’s just about all wrapped up? Yes I can! And after the whole severed breast gag where can you go anyway? Other than the prologue and Lam’s babbling about dirty women and innocents, none of the flashbacks serve to shed any light on what motivates this guy to do not just what he did, but how he accomplished it. All we have is this guy killing a couple of women and chopping them up. There are attempts at a little style in this movie with rain drenched shots and other techniques which try to show us that Tang and Lee can move the camera around and use different colored lights, but much of the movie is shot in plain-Jane fashion at the police station, so it just looks like a run-of-the-mill Hong Kong flick with some semi-elaborately staged kill scenes. If you’re looking for an icky Hong Kong movie that lives up to its rep, get yourself a dose of Ebola Syndrome. That one went over the top and stayed there, proud of its nasty nature and infused with enough dark humor to keep you wincing and smirking at the same time. It was crude and gross, but you weren’t bored. In Dr. Lamb, you may as well be watching some American movie about a serial killer for as little new ground as this one trod. Nothing worth noting in this scurvy entry in the genre except for the occasionally hilarious subtitles. As one guy tells the police after they beat him, “my bladder is injury”. I feel your pain, bro!